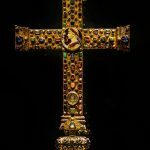 Cross of Mathilda – I komu to przeszkadzało? 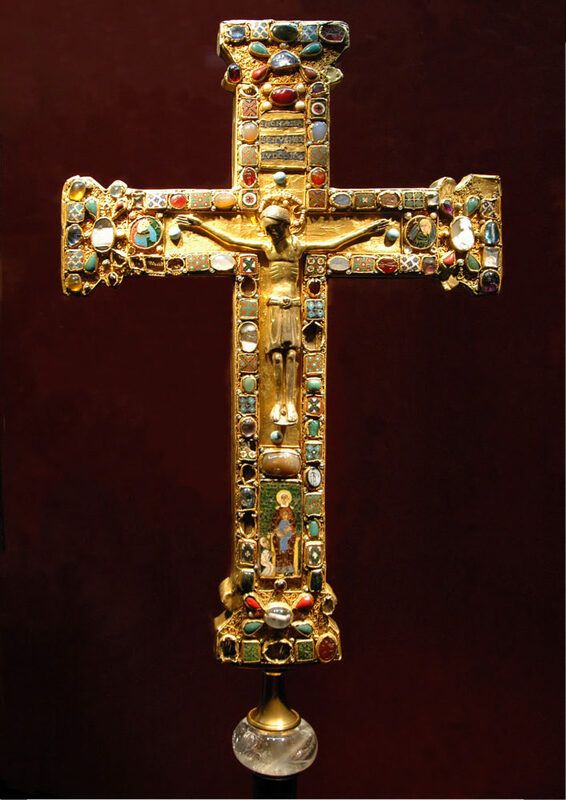 Cross of Mathilda, a procession crux gemmata commissioned by Teofano, the abbess of the canoness’ monastery in Essen, in honor of her predecessor, Mathilda II, half of the 11th century. 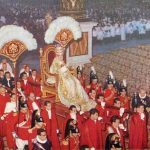 Oak wood covered with a gold sheet, decorated with cameos, precious stones, pearls and enamelled plaques with floral and ornamental motifs, depicting busts of angels. In the lower part of the cross, there is an image of the abbess worshiping Mary and Baby Jesus on the throne. 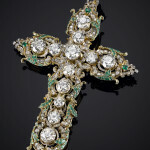 The back of the cross is undecorated and contains repositories for the relics of saints Innocent and Lawrence.